Like a painter draws an image out of the world of a blank canvas or a sculptor carves beauty from stone, a musician brings emotion, words, and the totality of a lifetime to the songs he or she creates. On his fifth album, Toward The Sun, Jeffrey Gaines continues to embrace and celebrate what it means to be authentically human and fully engaged in the journey of living. 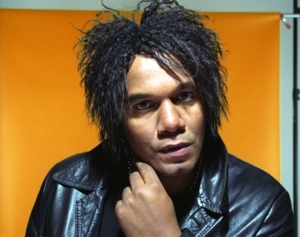 With equal parts gentleness and laser-sharp directness--- a combination only present in those who have done their emotional homework--- Jeffrey Gaines balances lightness with musical texture and depth. There is the maturity of a cultivated skill woven together with the purity of being present in all the emotion and spirit the moment can hold. Each strand in the tapestry of Toward The Sun leads to a theme so distinctly universal, it speaks intimately. Toward The Sun is not just an invitation to feel, but an invocation. In Life of the Living, Jeffrey sings The moment you can live without the hurt / A gift to yourself you will be giving / The moment you pull your head out of the dirt / You can join the life of the living, as if to remind that every day offers a chance for a new beginning. And, sometimes, what invokes a new day is not merely the rising of the sun, but of deciding to rise and go towards our own light and life. As the themes of reflection, connection and loving oneself run deeply throughout the album, embracing the freedom to be--- and to love--- who we are figures prominently. To Be Free, Jeffrey explains, "is about openness. Take the shroud off, put your head back, smile and open your arms." I must get out of my head / I must get out of this bed / I want the sun on my skin / I'm tired of laying around / I'm tired of feeling let down / I want so badly to win / All I want is to be free. . . Believing that there is soul in simplicity, Jeffrey Gaines is moved by the tangible and intangible wonders in life. "I'm inspired by beauty, whether it be nature, being outside, my time alone, love. . . I'm inspired by very simple things, the things I consider to be the essentials of a life." While his writing happens in phases, Jeffrey explains that the writing process is one that is on-going. "I'm collecting things all the time. People are always surprised at how fast I'll put a record together, but all year long or whatever, I have been wanting to write that song. I just didn't sit down and clear off the desk and actually do it, but it's been affecting me for some time. All you've got to do then is sit down and just write it down." Working with his producer Mitchell Froom in Los Angeles had benefits beyond the obvious. "Mitchell Froom is a great guy. He's a wonderful musician. He's real quiet, he doesn't brag, he doesn't boast, you hardly know what he's got up his sleeve, but when he lets it out, he's something else," says Jeffrey. Being in California for the duration of the recording enhanced and facilitated the experience of creating Toward The Sun. "It was a good idea to get me out of the familiar, take in different sights--- it really inspired me. There is a weird sort of optimism and hope in sound of the playing. We were all in a good mood--- I think we were swept up by the environment where every day is a sunny, beautiful day." The act of sharing songs is as integral to being an artist as is their creation. Describing his live show as intimate and conversational, Jeffrey muses that people are often surprised at how much fun and how "rock" his shows are. Perhaps, that is because he is well-known for dramatic songs, like the heartfelt cover of In Your Eyes by Peter Gabriel--- a song that immediately was well-received by audiences. "As soon as I tried it, it got such a good reaction, it would have been crazy not to continue with it." But, it is a ballad from Toward The Sun called Without You that is currently creating the same smoldering intensity at live shows. "It's an interesting song to play live. You just really have to throw yourself into the emotion of it. It just fades at the end and I'm actually doing the fade on stage and just having it get quieter and quieter," explains Jeffrey. Being willing to be vulnerable on stage brings a level of honesty to the performance that is unparalleled. "First and foremost, what you're coming off with has got to be sincere and you have got to be able to stand behind it. . . You get up in front of a group of strangers and the lights are on you and your emotions are amplified and the audience can look right into you. . . They feel what you're feeling and not just what you're projecting, but they feel it underneath the surface." With warmth and clarity, the music of Jeffrey Gaines places the profound into the hands of the everyday. In the end, it is through what we love that we, like all artists, create the landscape, the sculpture, the song of our lives. Live. . . this lifetime / It could be over before you even know it / In this lifetime. . . if you love something you'd better show it.